Best suited for groups, such as a girls trips or for guests with young children. 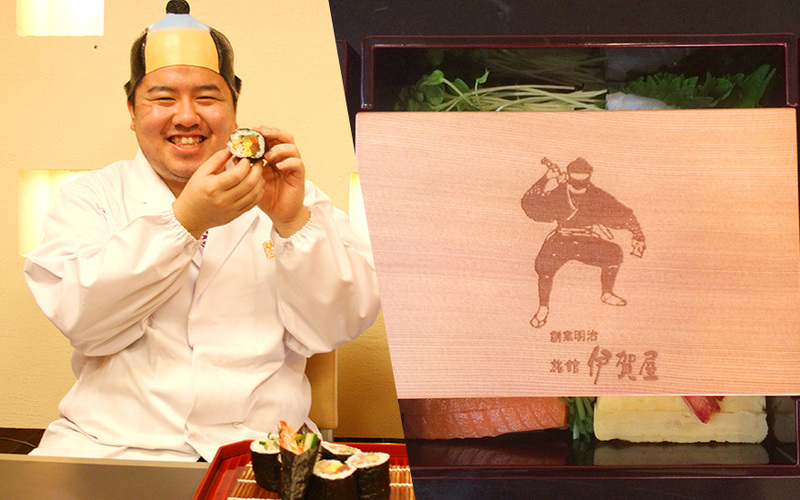 <Ninja Plan> - Wondrous dinner course, full of surprises! Smell the aroma, puffing smokes, and burning flames….. There will be many great photo opportunities throughout this dinner full of surprises. The experience will sure to bring many smiles and fun moments! This special dinner course is not only delicious in taste but will be highly entertaining! The main of the dinner course is “Temakizushi” (hand-rolled sushi), Amakusa’s fresh quality seafood will be beautifully served in the specially made “Oju” (multi-tiered cuisine boxes).